Ten years ago, the hottest IP question in China was:"How do you protect a western brand?" Discussions relating to China's sub-class system were an inevitable topic in almost every international trademark conference. Five years ago, the rise of ecommerce platforms such as Taobao, Alibaba and JD helped to move the focus away from sub-classes and on to the subject of online counterfeiting. While this is still a big issue – particularly where infringers either copy or invent similar marks clearly based on famous brands (JUST DO IT versus JUST DID IT) – around three years ago the spotlight shifted again as infringers started to develop new marketing methods for fake goods. Rather than simply using a word mark or a logo as a source identifier, companies began to use colours, colour combinations, product shapes and packaging to make a brand appear legitimate. As ever, the legal system is lagging behind business developments – this is especially true of the legal system in China, where many of these new marketing ideas are still too novel to be accepted as trademark registrations. For example, China did not accept colour combinations as trademarks until the second amendment to its Trademark Law in 2001 (the first actual colour combination mark was only accepted for registration much later). You may never have thought about a product shape or product packaging functioning as a brand, yet marketers have been exposing us to such ingenious marketing for some time. Most people will recognise the brands behind the products illustrated in this article, even those that do not include the brand name. However, these brilliant business and marketing revolutions are presenting new challenges to both western and Chinese trademark systems. In most situations trademark registrations are permitted for traditional elements, such as word marks or logo design only. The law has not (yet) evolved to the point where a product’s unique characteristics can also be recognised and protected as trademarks. For example, China has not yet allowed the famous red soles of Christian Louboutin-branded high heels to be registered as a trademark (the application is being appealed at the time of writing). Under the current system in China there is nothing to stop any shoe company from manufacturing, selling or distributing high heels with soles which are exactly the same shade of red, provided that they do not explicitly include the Christian Louboutin logo or brand. When a product’s creative marketing features cannot be registered as a form of intellectual property, how is it possible to protect the look of a product in the world’s biggest market? Here is a story that we hear increasingly these days. Suppose that your client or company is a fitness brand with a smart watch as its primary product. Although there are many kinds of smart watch on the market, this client’s watch is unique and easily distinguishable. This may be down to how the watch is packaged – its shape (eg, a triangle rather than the usual square shape), the special rim design or a combination of these factors. The client’s business team in China has been complaining for months to headquarters back in the United States or Europe about an audacious and, in their opinion, shameless copycat in China. This copycat is usually a player in the same industry – in this case, another lifestyle company based in Shanghai which focuses on electronic tracking devices. The watches produced by this Chinese company track the exact visual elements of the client’s watches – they include the same colour scheme, the exact same shape and even the same packaging. Worse, these copycats are selling these watches at one-third of the client’s unit price. Protection through a design patent is no longer an option – the watch was first unveiled in San Francisco in 2010 and introduced into China in 2013; sales have been going through the roof since then. The client did not bring this issue to your attention until this year. 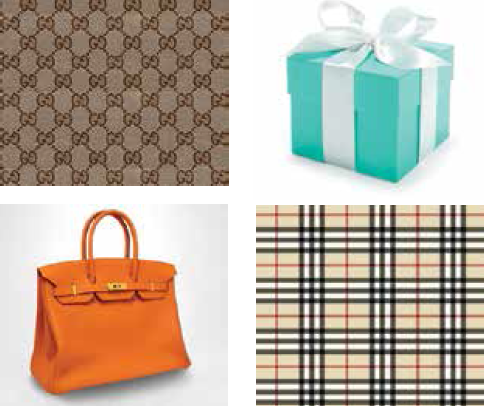 • What are the exact criteria for qualifying for trade dress protection in China? • Must a brand be recognised as well known in China in order to have a prayer to win an unfair competition lawsuit? • Are there any specific messages from China’s central government on this issue? Swap out fitness company to a luggage or jewellery company and this is exactly what happened to famous brands Rimowa and Cartier. 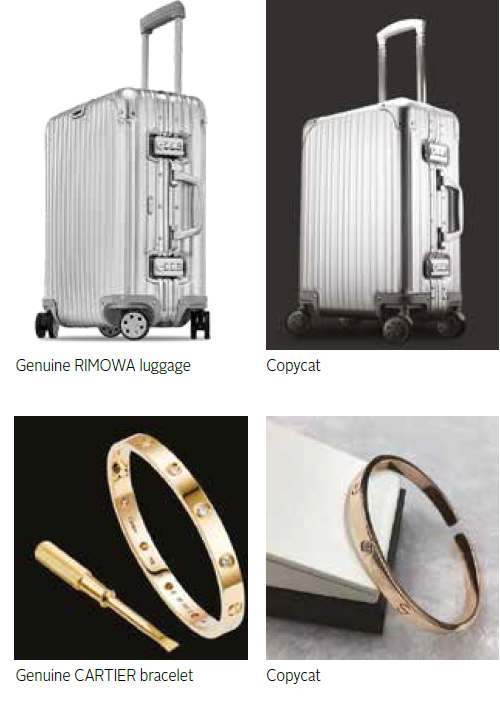 This is not a case of trademark infringement because the competitors in China did not copy the RIMOWA or CARTIER marks. China is the number one source for counterfeits today. Without solid protection under China’s legal system, an infringer can easily and legally copy a famous product’s unique features and sell them as if they were the legitimate brand owners. This issue is particularly acute in China because unlike most western markets, China has no specific trade dress law. Traditionally, businesses have had two options when trade dress issues arise in China. The first and most obvious solution is to obtain a design patent. Under China’s Patent Law, if a design which includes the look or shape of a product can meet the novelty requirement (ie, it has not previously been available), the visual appearance can be protected as a design patent. This is usually the most practical and economical way to obtain protection in China. Unlike some other countries, China has no substantive examination for design patent applications. In other words, once an application is filed, the applicant is almost certain to receive a design patent within the next eight to 10 months. The protection period is 10 years. There are of course enforcement issues associated with this approach; nevertheless, at least the business has some senior rights in a country where the government-issued certificate is king. However, this elegant solution is not always available. The reasons are twofold. First, most companies (ie, over 60%) are unaware that this is available and do not know how to take advantage of it. In fact, even for companies which are aware, most forget to apply for this easy solution in the midst of excitement over a product launch. Second – and this is especially true for brands which have been around for a while – the design patent option is not available because the underlying products have been in existence for years; therefore, they are no longer novel and can no longer be registered as design patents. The second option is to rely on the Unfair Competition Law – the focus of this article. As pointed out above, China has no specific trade dress law. So, when it comes to protecting the visual appearance of a product in situations where a design patent is not available, the only reliable legal protection is the Unfair Competition Law. In this context, Article 5(2) is key. This states that “a business operator shall not harm its competitors… by using any of the following unfair means… using a unique name, packaging or decoration of another’s famous product, or using a name, packaging or decoration that is similar to that of another’s famous product” (emphasis added). Chinese law is notoriously opaque. Fortunately, the Supreme People’s Court shed some light on this issue in 2007 by providing the following clarification to key terms in Article 5(2). The interpretation defines ‘famous products’ as products which have gained some fame in the Chinese market among the relevant consumers – fame in foreign markets does not count. ‘Unique’ means that the specific characteristics of the products must be sufficiently distinctive to enable consumers to identify their source easily. In addition, the 2007 interpretation specifically points out that functional features of a product should not be recognised as unique decoration protectable under Article 5(2). Examples of functional features include characteristics which are primarily related to the product’s nature, exist primarily for technical reasons and render substantial value to the product. In other words, following the 2007 interpretation, a visual feature must be non-functional (ie, primarily decorative) in order for it to be recognised and protected under Article 5(2) (see examples opposite). •The characteristic at issue has gained a high level of fame in China. •The characteristic is distinctive or has gained distinctiveness and is not a common design in the industry. •The characteristic is not functional in nature. •The characteristic, as employed by the junior product, is identical or similar to that of the famous product which has resulted in consumer confusion. People who have been practising Chinese trademark law or doing business in China for a while will probably have a follow-up question-does that mean that a mark must first be recognised as well known in China in order to be protected? The short answer to this is: no. Since it is extremely difficult for western brands to obtain well-known status, this answer – we are sure - will come as good news. Five years ago this article would not have been possible because there was insufficient case law, support from the IP courts or even breakthroughs to make it meaningful. Fortunately, we have finally reached the point where all these elements are now lined up. The law in this space has been progressing swiftly, primarily due to the following landmark cases. Ferrero Rocher was the first decision in China – supported by the Supreme People’s Court – where product packaging was protected, M&G was a landmark decision where a product’s shape was found to be worthy of protection, while Rimowa is yet another breakthrough case where even the lower courts in different parts of China decided unanimously to protect a product’s unique design. Ferrero Rocher’s chocolates are famous around the world, including in China, and have been for years. In particular, its golden ball packaging design – especially when these golden chocolates are bundled up in a bouquet for Valentine’s Day – has proved enduringly popular. Nearly two decades ago a local Chinese competitor began to sell chocolates with the same ruffled gold packaging design (see opposite). This was not a trademark infringement issue because the infringer did not copy the FERRERO ROCHER mark but merely the look of the packaging. Ferrero Rocher had no design patent in China because this ingenious packaging idea was introduced long before the chocolates made their way onto the Chinese market. Therefore, in 2003 Ferrero Rocher launched a lawsuit based on unfair competition. The unfair competition claim was, surprisingly, supported by the Tianjin High Court and the Supreme People’s Court. The latter issued an opinion supporting the decision and offering additional clarification on the Unfair Competition Law. 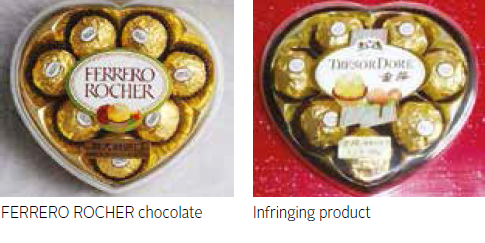 Ferrero Rocher is a landmark case precisely because it was the first time that the Supreme People’s Court recognised and protected a unique product packaging under the Unfair Competition Law. In fact, the court demonstrated admirable understanding, going so far as to say that a packaging design could still be recognised as a unique decoration as discussed in Article 5(2) even where it is a common feature in an industry or has not become exclusively associated with the plaintiff. The criteria is still met provided that everything, taken as a whole, is sufficient to allow consumers to rely on these features as source identifiers. The initial decision was issued in 2006, while the Supreme People’s Court opinion was issued in 2008. Given China’s rigid interpretation of its sub-class system and its stubborn adherence to the letter of the law, the fact that the Supreme People’s Court was willing to consider all relevant factors was a tremendous breakthrough. 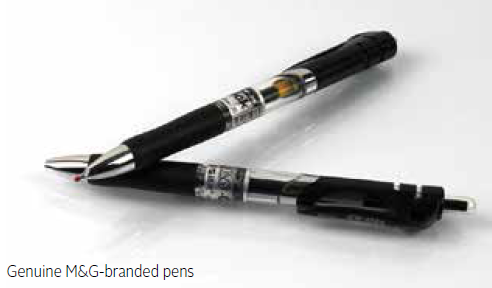 M&G branded pens have long been popular in China, with the unique pen shape being protected by a design patent. However, when this expired in 2005, its competitors started to sell pens which looked identical to M&G pens. M&G brought a suit based on the Unfair Competition Law. The Shanghai High Court granted M&G a stunning victory. Once again, the Supreme People’s Court followed this up with an opinion. M&G is a landmark case for protect product shapes in China and is particularly significant for two reasons. First, the Supreme People’s Court made it clear that an early grant of a design patent for a product does not exclude later protection based on the Unfair Competition Law. •non-traditional elements, such as a product’s shape and structure. The Supreme People’s Court also made it clear that the evidentiary threshold necessary in order to protect these two categories is different. In order for a product shape to be deemed a unique decoration, the plaintiff must prove acquired distinctiveness. In other words, be prepared to produce a large amount of China-specific evidence to show that your product shape is sufficiently distinctive to function as a source identifier in China. Rimowa created and introduced the grooved design associated with its suitcase and luggage products in around 1950, entering the Chinese market in around 2007. Rimowa-branded luggage quickly found favour among Chinese film stars and models. Fast forward to 2013 and Rimowa-branded luggage is more coveted than ever due to the wildly popular Chinese TV show, Where Are We Going, Dad? The basic premise is that the celebrities in China travel with their children and enjoy different adventures – and almost all the celebrities in the show travel with Rimowa-branded luggage. The show has been a huge success in China – broadcast every Friday night and watched by nearly every household in the country – and has made instant hits of its ancillary brands. The Rimowa brand took off and became an explosive hit in the Chinese market, even among the middle class. The sheer number of Rimowa copycats quickly spiralled out of control; most did not even copy the exact RIMOWA mark, they simply copied the grooved design which was sufficient to cause confusion and influence purchasing decisions. In 2015 Rimowa decided to fight back, bringing several lawsuits across China against multiple parties. In late 2016 courts in Guangdong and Beijing supported Rimowa’s unfair competition claim. Both concluded that the grooved design was a “unique decoration of a famous product in China” and the defendants’ copying of it constituted unfair competition. Injunctions and monetary damages were granted in both instances. However, although both courts reached the same conclusion, they differed in their views of what constitutes a unique decoration for a famous product. The Guangdong court held that the evidence provided by Rimowa was sufficient to prove that the grooved design had obtained sufficient distinctiveness. The design itself was therefore a unique decoration and protected under the Unfair Competition Law. However, the Beijing court adopted the Ferrero Rocher approach. It pointed out that some design features of the suitcase were not distinctive by themselves; accordingly, they did not individually meet the unique decoration requirement. Instead the requirement was met by taking all of the factors – including the grooved design, the protective corners, locks, metal trips and the rivets of the Rimowa luggage – into consideration. At the time of writing a Shanghai court is still considering the case; if its verdict is inconsistent with those already issued in Beijing and Guangdong, the case may proceed to the Supreme People’s Court. Although the case has not been formally selected as a landmark case by the authorities in China, it has been already gained momentum and is generally regarded as one of the leading cases in the product design protection category. In September 2017 it was recognised by the China Trademark Association as one of the outstanding cases in China. We are closely monitoring this case – one of the authors is the lead attorney on it. These three cases complete a basic survey into China’s Unfair Competition Law. The law now protects product packaging, shape and design. It is true that China is not a case-law based country – in other words, lower courts are free to issue decisions regardless or irrespective of any precedents. Despite this, our feeling – based on decades of experience in China – is that the lower courts will heed these decisions. This is particularly so given that the courts’ big brother, the Supreme People’s Court, has issued formal opinions on these issues. This issue is serious enough to have prompted some actions from China’s central government. The government is in the process of amending the Unfair Competition Law. The first draft – sent for review to the State Council in February 2016 – explicitly included product shape as a protectable element in Article 5(2) (the key subject in M&G). However, this was removed in the latest draft, which was sent from the State Council to China’s National Congress in February 2017. This means that there is basically no change to Article 5(2). Legislators appear to be struggling with which law should be used to protect a product’s shape – unfair competition or the patent law – with no clear answer. •Protection of intellectual property is a key factor in fostering a business-friendly environment in China. ◾greatly increase the severity of the penalties (‘penalties’ is a direct translation but it encompasses more than simply monetary fines) relating to the enforcements targeting IP violations; one particular goal now is to make sure the infringers will pay a hefty price (again, ‘price’ is a literal translation – conceptually, it encompasses not just monetary price but also various forms of punishments). The fourth point is key and is an indication of what policy changes might be coming down the pipeline. We also believe this statement could well have a direct impact on future court cases. While Chinese courts may be able to exercise discretion and ignore precedents, they are highly likely to adjust their approach so that it is in sync with the central government’s overall direction. Many political heavyweights, including Judge Zhou Qiang – president of the Supreme People’s Court – have made similar announcements between 2016 and 2017. However, Xi’s statement is the latest and sends the strongest message to courts across China. Accordingly, we expect more unfair competition cases to be filed and predict that most of them will enjoy a greater prospect of success than cases brought before 2010. A shrewd reader may have noticed that this article involves no in-depth discussion of the concept of ‘well-known’ trademarks. In fact, we have intentionally used the term ‘famous’ mark in preference to this. Traditional thinking is that in order to prevail in an unfair competition suit, the plaintiff must be able to prove that its mark qualifies as ‘well known’. This, as everyone knows, is not only prohibitively expensive but also more difficult than winning the Powerball in the United States. This explains why most brands choose not to pursue such suits – the inability to prove that a trademark is well known can be a death sentence to any lawsuit. Ferrero Rocher, M&G and Rimowa have brought long-awaited changes to this space. All three brands were successful in their unfair competition claims. More importantly, they were able to prevail in the action even though none were recognised as a well-known trademark in the decision. This point was affirmed again in the recent New Balance victory in China in August 2017; this scored a big win against infringers on the grounds of unfair competition, without the need to prove that the mark at issue was well known. With this in mind, we have grouped brands in China into three categories, with the takeaway for each summarised accordingly. First, brands that definitely meet the well-known trademark requirement have a good chance of protecting the look of their products by relying on Article 5(2) of the Unfair Competition Law. The primary challenge after overcoming the well-known hurdle is to prove that the product feature itself is distinctive or has acquired distinctiveness in China. •tried for years to obtain well-known status but failed, mostly because of the quota restriction in China. However, it is worth noting that just because a brand has been recognised as well known does not mean that its visual looks will automatically be protected under the law. The look must also be recognised as unique or as having sufficient distinctiveness to gain protection. For brands that are new to the market and enjoy only limited name recognition among Chinese consumers, protecting the look of products remains challenging. The best approach is still to obtain senior rights, particularly in the form of a design patent, in China. In other words, make sure to obtain a government-issued certificate – either in the form of a trademark registration certificate or a design patent – before rushing to a Chinese court to file the suit.